Built in 1936. Originally Military offices and armoury. 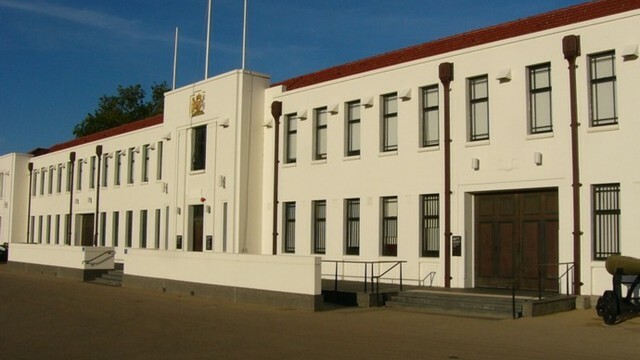 For many years this building housed the 10th Battalion Royal South Australia Regiment and the Adelaide University Regiment of the Citizens Military Forces / Army Reserve. The Commonwealth vacated the land in the late 1990s and it reverted to State ownership. Refurbished in 2003, in January 2004, utilised by the RSL, RAAFA, the VVA and History SA. Two bronze cannons in front of the building are of Russian origin and are believed to have been captured during the Crimean War. A foundation stone is set in the southern end of the west wall. Bronze plaques are affixed either side of the main entrance. The Featured image of the VC Honour Roll is located in the Memorial Hall at the southern end of the Building on the Ground Floor. 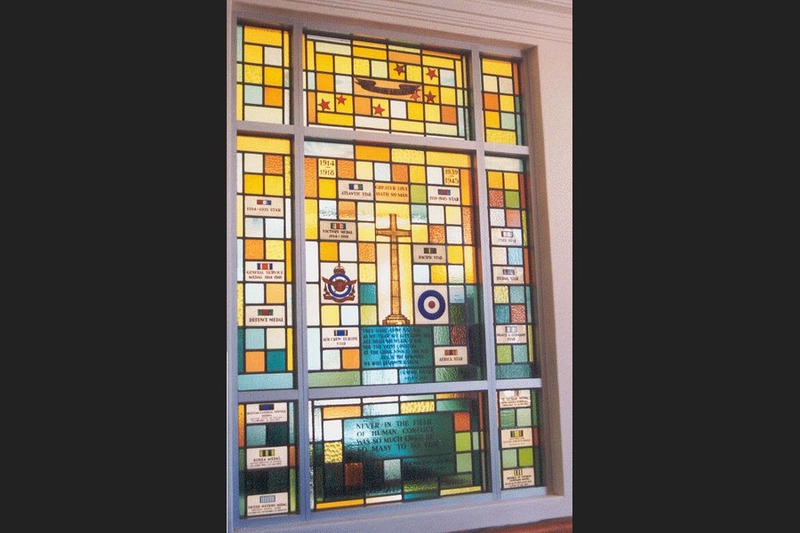 A stained glass window, originally belonging to the RAAF Association is in the southern wall to the left of the RAAF Association office on the first floor reception area. The window comprises nine sections made up of small panels of leadlight coloured glass, in the top centre section are stars surrounding a gold banner. The centre and lower outer sections have glass panels with representations of campaign ribbons and details. 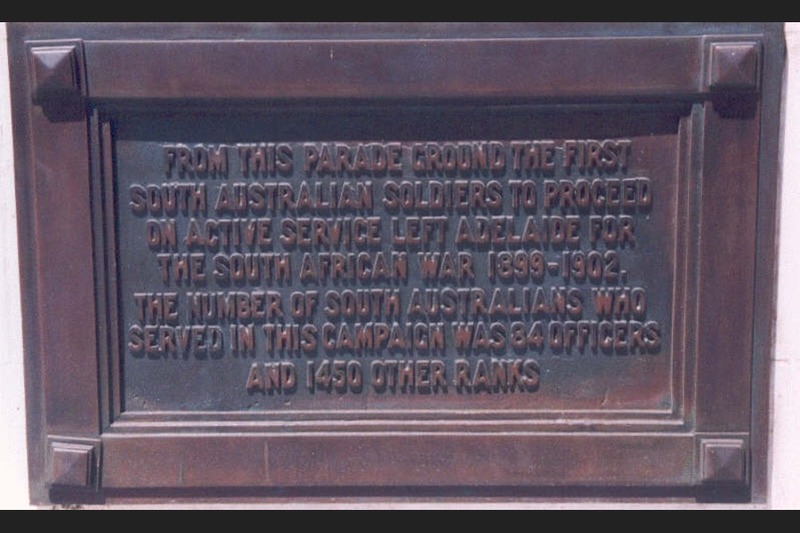 The centre section has war dates, campaign ribbons with details, a Cross of Sacrifice in the centre with the RAAF insignia on the left and a RAAF roundel on the right, below this is a text panel. The lower centre section has a text panel. 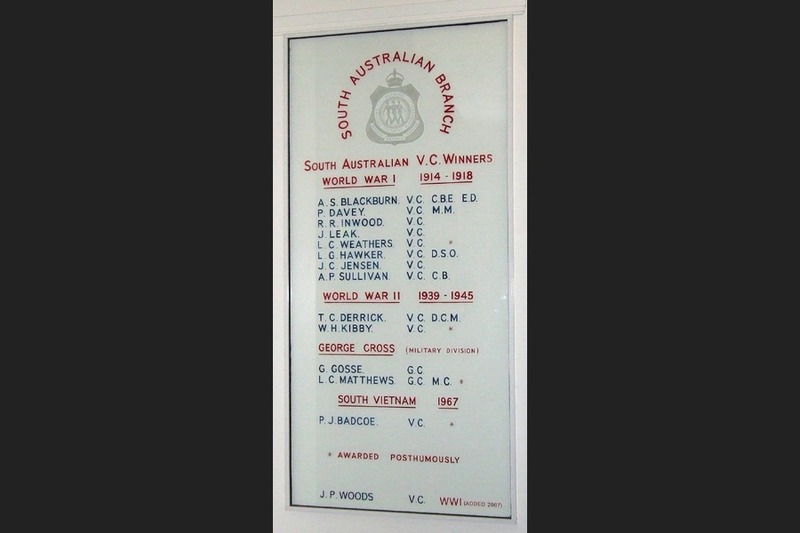 The original glass doors from the original ANZAC House in Angas Street (Memorial B2) were relocated in the Torrens Parade Ground Memorial Hall. 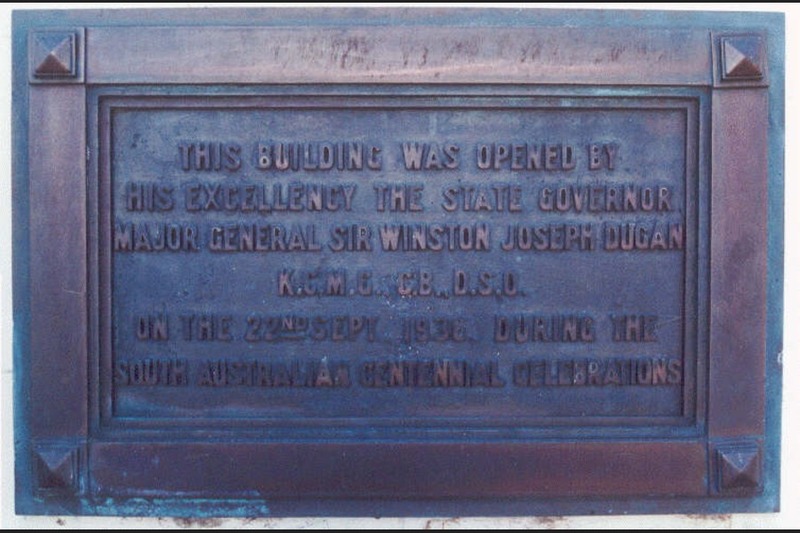 Opened 22 September 1936 by HIS EXCELLENCY THE STATE GOVERNOR MAJOR GENERAL SIR WINSTON JOSEPH DUGAN K.C.M.G. C.B., D.S.O. ON THE 14TH DECEMBER 1935. THE SOUTH AFRICAN WAR 1899-1902. Excellent. Maintained by Department of Planning, Transport and Infrastructure (DPTI). 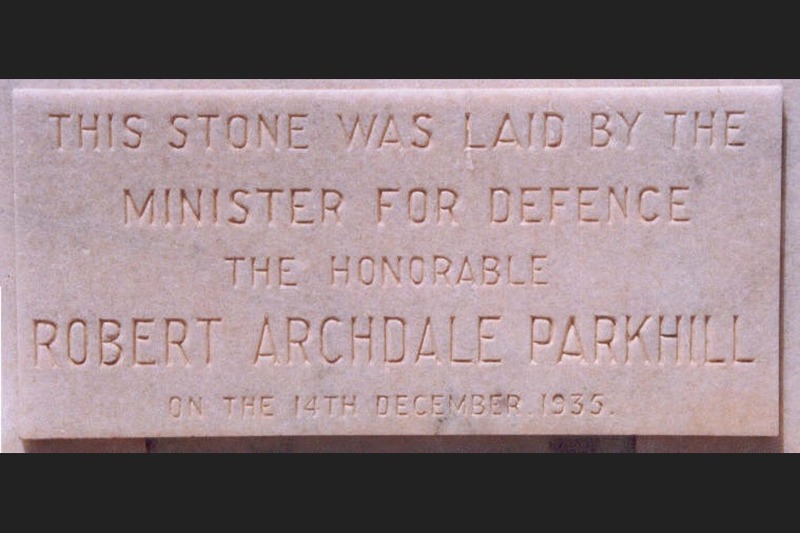 LOCATION: Corner of King William Road and Victoria Drive at the Torrens Parade Ground. DESCRIPTION: Built in 1936. Originally Military offices and armoury. 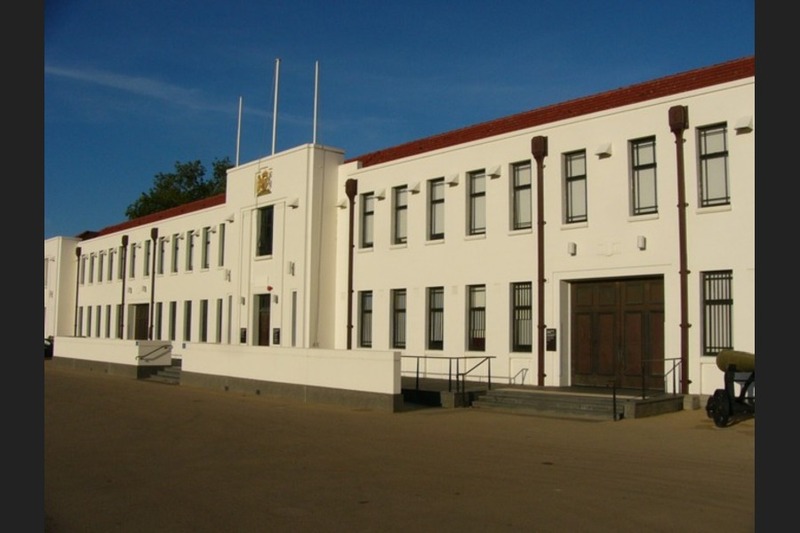 For many years this building housed the 10th Battalion Royal South Australia Regiment and the Adelaide Univeristy Regiment of the Citizens Military Forces / Army Reserve. The Commonwealth vacated the land in the late 1990s and it reverted to State ownership. Refurbished in 2003, in January 2004, utilised by the RSL, RAAFA, the VVA and History SA. 25 JUNE 1950 WITHDRAWAL AUS FORCES 1953 ISSUED BY THE VIETNAMESE GOVT.